On a fine day at The Roundhouse at the Falls in Beacon, you can sit outside on an expansive patio overlooking a dramatic waterfall and consume good beer and tasty tidbits, a perfect way to while away a lazy summer afternoon. Today a friend and I did just that, beginning with a couple of pints of golden brew, both selections murky, with hints of coriander and orange, and nods to Belgium. Slightly more golden in hue than the other, the Clown Shoes Clementine was a Belgian-style white ale (witbier) from Massachusetts ($7), refreshing, crisp and nicely balanced. The other was a nice light dry lemon-yellow Hennepin from Ommegang in upstate NY ($6) . 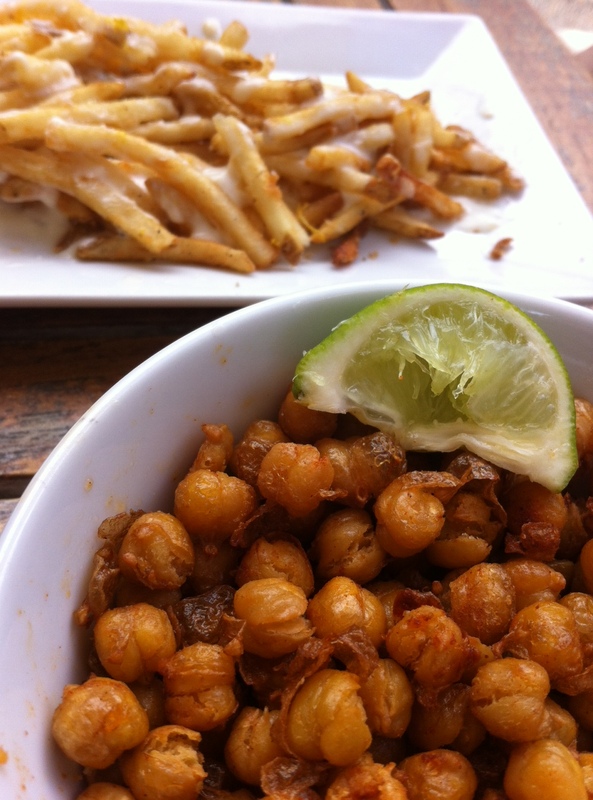 Irresistible crispy shoestring fries drizzled with melted smoked Gouda and scattered with lemon zest and roasted garlic ($5) were perfect with the beers, as were coppery-colored chick peas deep-fried and dusted with non-spicy chorizo spices ($5). 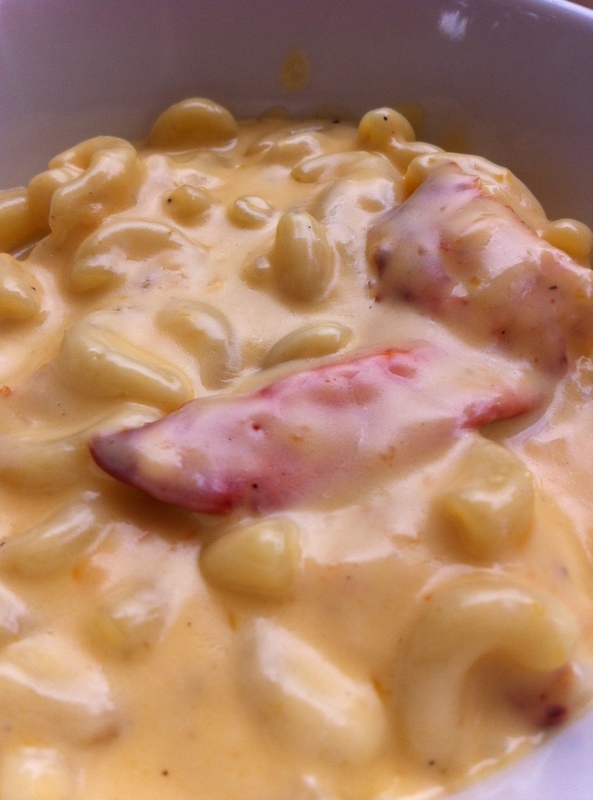 A creamy mascarpone-enriched mac and cheese studded generously with chunks of lobster was next ($12). Service from friendly Edward–and others–was absolutely perfect. Rain showers kindly waited until all was consumed, and after driving most patrons indoors, it dispersed, and out came the sun again.